Attention all Cobras ON Fire! Loose Cannon and Bakko have created 67 eps of podcast gold and coming up on our 2 year anniversary. We are looking for your help in our yearly cost of $150 for SoundCloud hosting. We are not looking to make money, just cover our costs. And once that is done we will shut up about it. Think of the hours of incredible entertainment and new bands you've discovered in our mission to save rock and f'n roll! All donations are extremely appreciated. 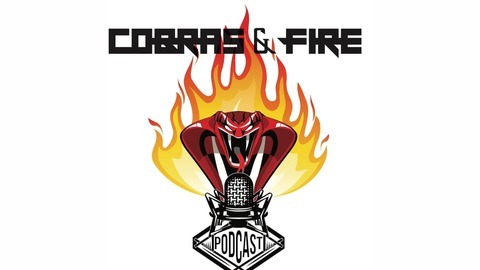 We will announce your names of future eps as a true Cobra ON Fire. By donating $5 you are helping to cover our annual hosting cost. Your reward is that you have helped save rock and roll. By donating a Spectacular $10 you are helping to cover our annual hosting cost. Your reward is that you have helped save rock and roll. By donating a GUITAR SMASHING $15 you are helping to cover our annual hosting cost as well as being an incredible human being . Your reward is that you have helped save rock and roll. By donating an incredible $20 you are helping to cover our annual hosting cost. Your reward is that you have helped save rock and roll.